Welcome to Speakers Corner. This is where you will find up to date information pertaining to your participation as a chair or speaker at DIA 2018, June 24-28, 2018, in Boston, MA. Please review the Program Development Guidelines that includes important information about your participation. Gain insight on DIA’s audience and best practices for building sessions to allow for a seamless session or workshop. View presentation slides or get the whole recording here. Learn more about the Epac System, a summary of upcoming deadlines, and what to expect onsite. View presentation slides or get the whole recording here. Download your copy of the DIA 2018 Social Starter Kit and begin sharing your contribution to the DIA Global Annual Meeting with your colleagues, peers, and start networking today. Access the new Program Participant Resource Module to review tips and tricks for building sessions and preparing presentations, as well as important reminders, dates, and deadlines. Learn more about the various types of meeting and session rooms your presentation may be taking place in. View the Fact Sheet here. Online registration is now closed. 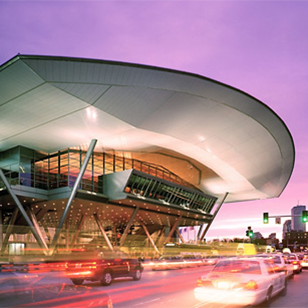 You can register onsite in the North Lobby, Level 1, at the Boston Convention & Exhibition Center. Eligible Supported Speakers: Please do not book housing until contacted by a member of the Annual Meeting team.